of the format that paved the way for wide-screen films. His prediction proved only partly true. Cinerama, in its original form, lasted only about a decade, but it paved the way for enduring wide-screen formats. On Sunday, on what the Museum of Modern Art is calling Cinerama Day, Cinerama will return to New York, the city where it was unveiled. The Cinerama films are hardly the rarest or most artistically accomplished movies in MoMA’s annual To Save and Project series, which also includes films from the innovative 1930s studio director William K. Howard and the American premiere of “Eight Hours Don’t Make a Day,” a television mini-series from Rainer Werner Fassbinder. But the Cinerama movies highlight some of the questions facing modern film preservation. Is it worth restoring films that can’t be seen properly? 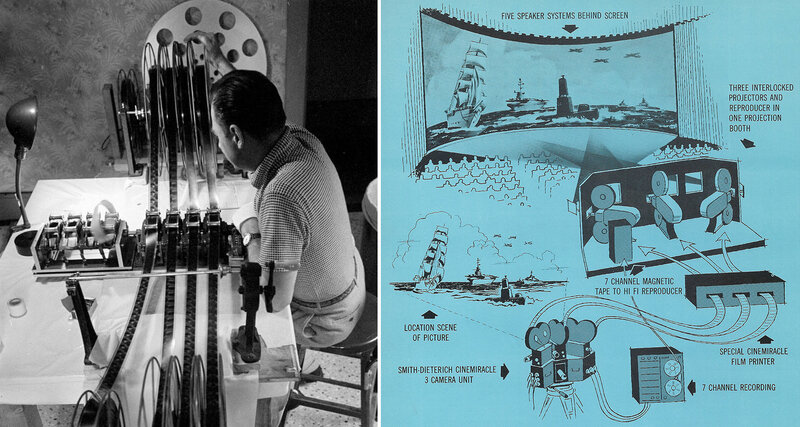 Only three theaters on Earth — in Los Angeles, Seattle and Bradford, England — can still screen the first form of Cinerama, which required three projectors running simultaneously, each aimed at a different part of an enormous screen. And assuming that you don’t care to travel, what’s the best way to see these movies? The two titles showing Sunday, “This Is Cinerama” and “Windjammer: The Voyage of the Christian Radich” — the lone picture made in a competing but similar format, Cinemiracle — will screen in new digital restorations that take pains to approximate the look and feel of what moviegoers saw in the 1950s. But they aren’t quite the genuine article. The first thing to understand about Cinerama, one of the gimmicks developed to help movies compete with television in the 1950s, is just how large an image it could produce. Imagine a frame of film from “Lawrence of Arabia,” shot in 65 millimeter, which became the gold standard for wide-screen epics. Now imagine a frame 20 percent taller. Then imagine three of those frames projected side by side, triptych-style, on a screen that would fill your peripheral vision. And imagine a team of four or five projectionists working to keep the presentation in sync. Indeed, Cinerama has the flavor of an alternate-universe Imax, a format that emerged later and surpassed Cinerama in image area, but that also favored travelogues taking you around the globe. 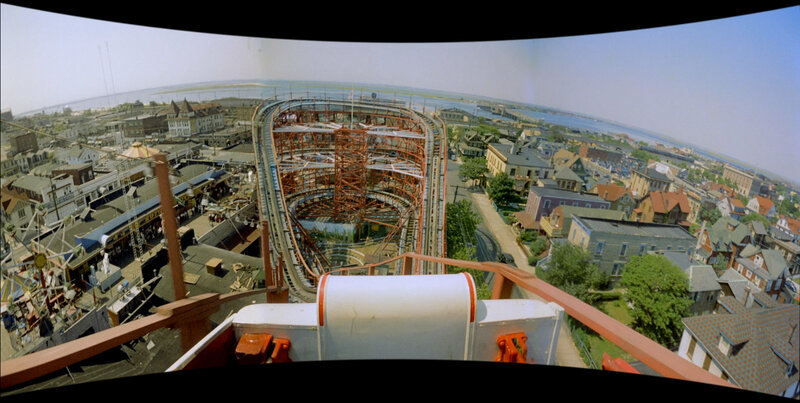 Mr. Sittig has also projected Cinerama and recalled the suspense of the experience. He remembered a screening of “The Wonderful World of the Brothers Grimm” at the TCM Classic Film Festival in Los Angeles in 2012, the last year that true three-strip Cinerama was presented in the United States. 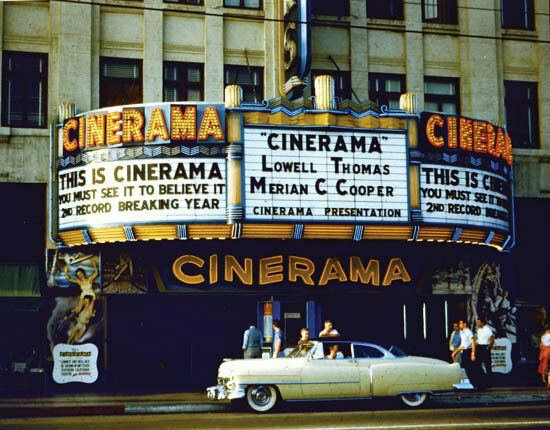 (Beginning with “It’s a Mad Mad Mad Mad World” in 1963, films under the Cinerama banner were just rebranded 70-millimeter, projected from a single strip.) A film break, he said, required 45 minutes of maintenance. The same problems of alignment and consistent illumination that dogged the Cinerama presentations of the 1950s and early 1960s also troubled the restorations. Each shot had three pieces, sometimes sourced from different elements, and they hadn’t always faded at the same rate. “The trick here is to make it look like it’s one image across the screen, and that became sort of a dance of death,” said David Strohmaier, the unofficial director of Cinerama restorations, who worked for free and estimates that 80 percent of the restoration work was done at his home. He and his producing partner, Randy Gitsch, couldn’t have made new film prints even if they had the budget for them: The original negatives were too worn. “The only way for this stuff to survive was what we did,” Mr. Strohmaier said. True aficionados can still make pilgrimages to the ArcLight Dome in Los Angeles or the National Science and Media Museum in Bradford, England, which occasionally hold analog Cinerama screenings. The Seattle Cinerama reopened in 1999 after an overhaul that included a restored Cinerama screen. “Fortunately, you don’t need any of those theaters to show real Cinerama because you have the luxury of digital Cinerama,” Mr. Gitsch said. Referring to Cinerama’s inventor, he added, “We’d like to think that Fred Waller’s original concept would have been to make one seamless picture, and you can’t really do that very well with three pieces of film.” The presentations at MoMA, which will use a single digital projector, will have “smilebox” letterboxing, approximating the illusion of depth that original moviegoers got from the extreme curvature of the screen. One projector or three, digital or film, these showings may be the closest New York moviegoers can come to experiencing “This Is Cinerama” since it ended its two-and-a-half-year run in 1955. Robert A. Harris, responsible for celebrated restorations of “Vertigo,” “My Fair Lady” and “Lawrence of Arabia,” applauded Mr. Strohmaier’s efforts. He said the work on “Windjammer” was the equivalent of restoring a seven-hour film. “He really deserves kudos and the understanding of an audience that it’s not a company behind this — it’s individuals,” Mr. Harris said. Compounding the difficulty of having three strips of film for every shot, he noted, was the fact that the materials had not been kept in archives, which typically means they are in poor condition. And while he doesn’t view the restorations as the equivalent of Cinerama, “at least it enables us to have something that gives people an idea of what Cinerama looked like and was,” he said. With all those caveats, is Cinerama Day worth attending? 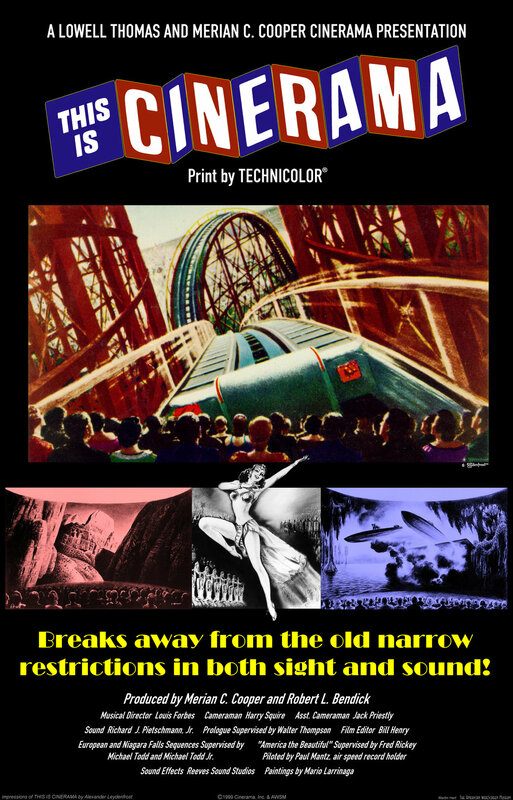 Even in its diminished form, the format remains a marvel of proto-Imax immersion, at its finest in shots with extreme perspective or motion, like the roller-coaster sequence that abruptly follows Mr. Thomas’s introduction in “This Is Cinerama.” Mr. Strohmaier also advises paying attention to the audio. “This was really the first time people heard sound all around them,” he said. The singing of the Vienna Boys Choir might seem dull by present-day standards, he suggested, but in 1952 it would have been anything but. The lines separating the parts of the triptych are less visible than they would have been in the 1950s with three projectors, but they can still be seen, creating rifts through a Venetian sunset or a spectacular water-skiing sequence in Cypress Gardens, Fla. “We didn’t want to get rid of all of it, because it was kind of part of the history,” Mr. Stohmaier said. The weirder 1958 “Windjammer,” which must have been on Paul Thomas Anderson’s viewing list for “The Master,” shows even greater facility with the technology, as it follows a group of Norwegian sailing trainees on a round-trip trans-Atlantic voyage. The photographer Weegee contributed to a night-on-the-town montage in New York. In a truly thrilling sequence in Philadelphia, the heavy Cinerama camera is placed on a fire truck racing through city streets.